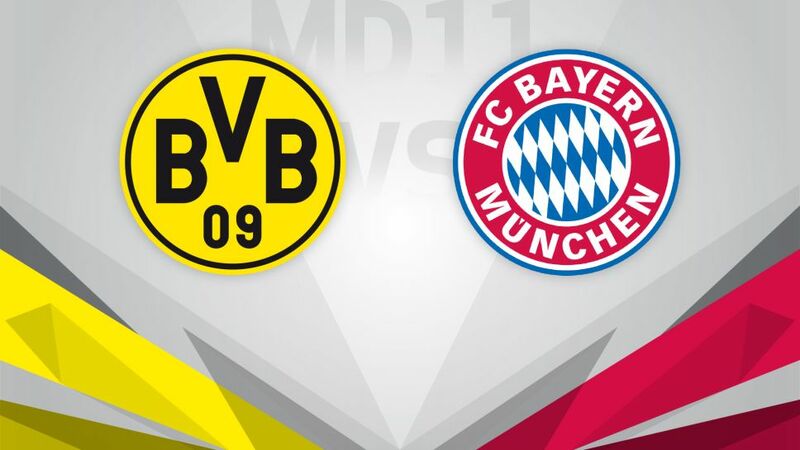 A titanic tussle eagerly anticipated the world over, Borussia Dortmund's clash at home to FC Bayern München on Matchday 11 promises to provide more twists and turns to an already spellbinding Bundesliga season (kick-off Saturday 19 November, 18:30CET/17:30GMT). Despite a season blighted by injury concerns and away-day setbacks, Dortmund have nonetheless managed to stay undefeated at their home fortress, setting a new club record of 26 games without loss at the SIGNAL IDUNA PARK. Victories in Europe and on the domestic front prior to the international break have instilled confidence, and so too has the sensational form of striker Pierre-Emerick Aubameyang, who scored four on Matchday 10 away to Hamburger SV. At this stage last season, there was no stopping the Bayern juggernaut as it steamed full speed ahead, defeating all in its path. Carlo Ancelotti's side have been unable to emulate that 100 per cent start this time around, however. Although the Bavarian giants go into the weekend still unbeaten in the German top-flight, a record of two wins in their last five Bundesliga outings is hardly ideal form ahead of a trip to North Rhine-Westphalia. Bayern had maximum points at this stage last season, they have 24 points now. This will be the teams' 20th encounter since April 2012.Dortmund have won just once in the last seven meetings, triumphing in the 2014/15 DFB Cup semi-finals on penalties. Since the summer of 2012, Bayern have taken 93 more points than Dortmund in the Bundesliga.Of all current Bundesliga coaches, Thomas Tuchel has enjoyed most wins against Bayern, but all three of the tactician's triumphs came while in charge of Mainz. Dortmund are a record 26 games unbeaten at home.Aubameyang has registered 11 Bundesliga goals to Robert Lewandowski's seven this term. For in-depth background and build-up to Der Klassiker, check out our overview page right here!